I’ve been puzzling out the space between work and play recently, and racing through my sketchbooks…. here’s the last of the last one…. 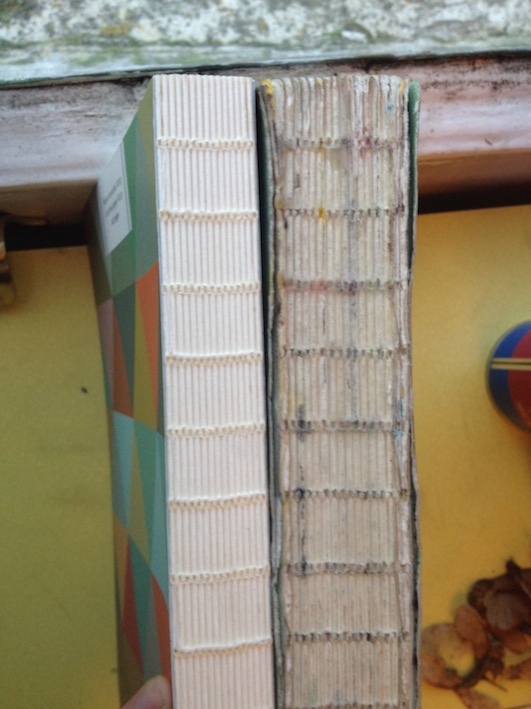 Old sketchbook – new sketchbook – they started out the same . 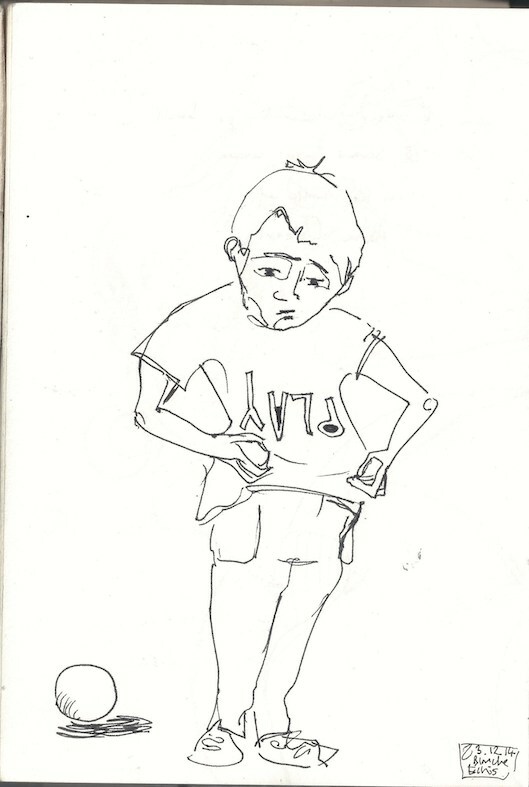 I’m only half way through this sketchbook but i’ve got lots of images to share from it already. 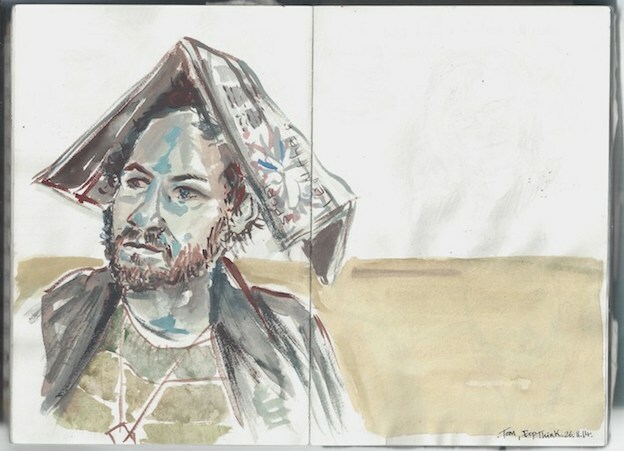 A lot of them are portraits, including those done on the London Underground/Overground – so if you’re a Londoner there’s a tiny chance you’ll find your own picture. If you’re part of my friends and family there’s a much greater chance. 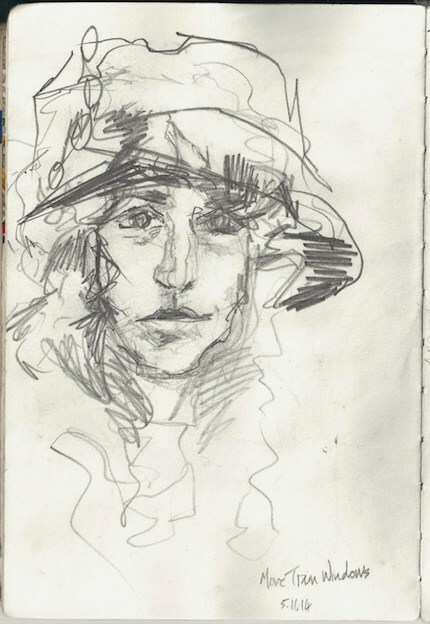 I’ve decided to make a portraits page on this site as I do so many. I’d also like to make a small note about the lovely sketchbooks which I have been working in lately. They’re from a little french company called Alibabette, personal and friendly with charming designs (i’m quite fussy with designs on my sketchbooks – I generally prefer them plain) and I really recommend them. The covers are paper, so they do get grubby but I don’t mind that in the least as beat-up old looking things only increase in beauty to me. The paper is creamy and thick enough to take watercolour, though the colour of the pages dulls the paints a little. They have lots of sketchbooks but ‘Artbooks’ are 200 pages and, in my opinion, make a great journal.